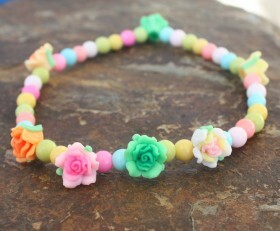 Your dog will look super stylish in this fun necklace with beautiful spring color beads accented by flower beads. It is stretch so will easily fit over your dog’s head. NOTE: In the Order Notes, please put the size of your dog’s neck. 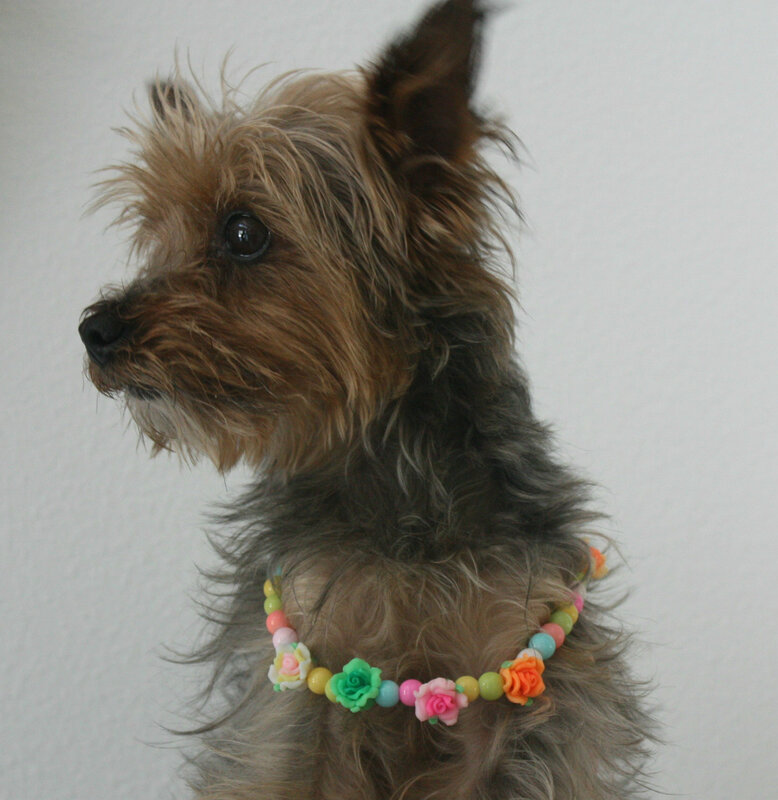 Categories: Doggie Necklaces, For Dogs, New.